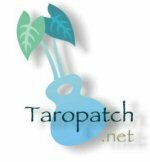 HREF="http://www.taropatch.net/forum_learn_books_kb3.htm">link you to the file. I looked at them, the first sample lesson, but as someone who is such a slow learner on the guitar, it seemed I would get more bang for the buck from Ozzie Kotani's book/cd. One other issue - I don't care for playing my guitar in front of the PC partly because of the furniture arrangement. Other more advanced students who don't have my PC playing hangup, and a better furniture layout, might enjoy them very much. I took these lessons several years ago. I'm glad I subscribed to the lessons, because I like having all the resources I can get; and even if I am not ready for some material at the time, at least I have it for later when I reach the stage when I can approach it. The series is a good "overall" introduction to slack key. Much of the technical part is material that happens also to be on his video. However, I'm sure there are a lot of people who would find this format helpful, and encouraging: working on the lessons directly with their guitar and computer. But, like Pauline, I found them only sorta helpful since I can't (and wouldn't really care to) play in front of my computer. I knew this going into it, of course, and dealt with that by printing out all the material, and using it at home. These lessons assume you already know how to play guitar in standard tuning, but don't know anything about slack key tunings (or how to read tab). Keola's favorite - and difficult - finger exercises are presented, and he introduces the student to alternating bass and several of his favorite tunings. Keola makes a point of discussing one of the fundamentals of slack key, that of having the appropriate mental approach/attitude. I think all the musical exercises are his own (short) compositions - with the exception of Auntie Alice Slack Key, which, I think, is his arrangement of her music. As the title of the last lesson "How to proceed from here" implies, he intends these lessons to be an introduction, a "taste", and if you like any part of them, you can go on and expand your horizons with other books/videos. Completed Keola's Beginner on-line series about a month ago and have to say it is excellent. The videos are helpful to get a very general idea of what's up, but not critical after that, so no need to stay glued to the computer, etc. Tablature is really well done and the practice notes are filled with helpful tips and detail-oriented stuff. Some truly great technique exercises and fun beginner tunes round out the series. By the time you get the last tune, Ka Lupe 'Ula, under your fingers, you have a nice, firm technical foundation for moving on. Plus, it sounds cool! I have since learned the first song from the Intermediate on-line series, which is also extremely well-presented and has good practice notes. No video in intermediate, but not needed, given the clear presentation, as above. I continue to work through Ozzie's book, but there is a distinct magic in Keola's "sound" and I have enjoyed his approach to teaching. If I subscribe to Keola's online lessons, is it possible to print out da tabs and exercises? I too, hate playing off of da computer monitor.